Beautiful 1 Story, 4 Bedroom in Award-Winning Teravista. 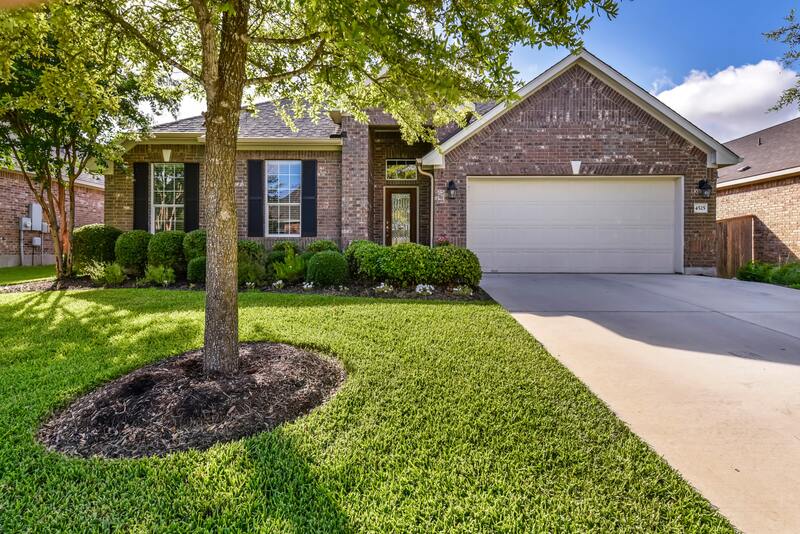 Meticulously maintained home with recently installed gutters, huge kitchen w/ island and extra counter space and cabinets, stainless steel appliances, large shaded covered patio overlooking oversize flat yard, fireplace, utility room w/ extra cabinets, formal dining, 2nd living room/sitting area, and more! Amenities include 3 pools, splash pads, 2 gyms, golf, tennis, over 5 playgrounds, pet station, basketball, walking trails and more! RRISD schools.